SLEEK STORAGE SOLUTION. Its sophisticated design works great on desks, personal workspaces, corporate mailrooms, cubicles, dorm rooms, home offices, family rooms and kitchen counters - anyplace that could benefit from stylish, space-saving organization. SMALL FOOTPRINT. 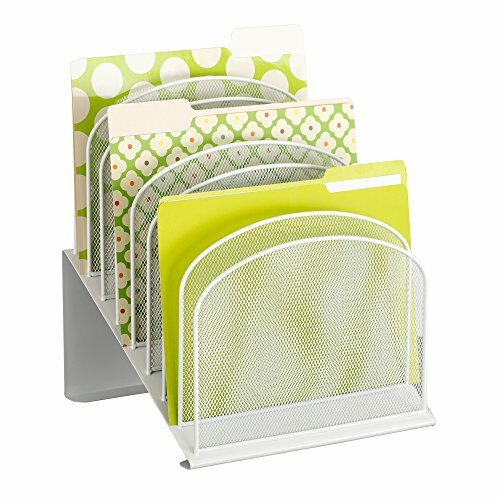 Organizer measures 11 3/4"W x 10 3/4"D x 14"H for maximum storage in minimum space. No assembly required.